This post was originally written in May 2010. I have a love of world history. From ancient through to modern, the time period doesn’t matter. I’ve had a particular focus on modern American history from the years following World War II until now. Alternative history buffs are people who think about the what if’s. What if events were to have happened even slightly different? How would it have changed the course of the rest of history. It’s really fascinating reading. I’ve been a subscriber to TIME Magazine for about 3 years and find it a good mix of world news and US politics. 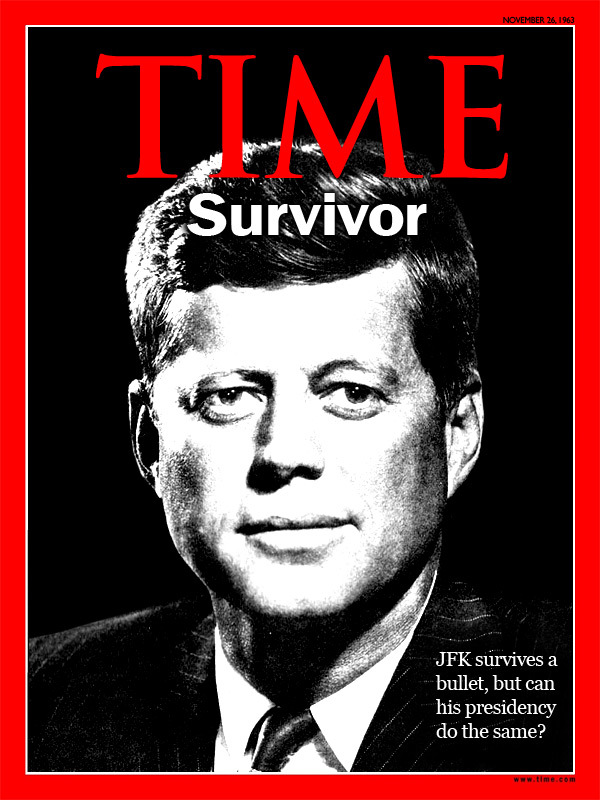 I decided to mock up three TIME Magazine Covers for alternative history scenarios. Click on the covers to view the full size images. 2. Sarah Palin wins 2012 election. This could still happen. Palin could stop Obama from a second term to become the first female President in US history. People assume Obama will win a second term but it’s possible the course of history could change in this way. What impact will it have on the world and people’s opinions on America? 3. 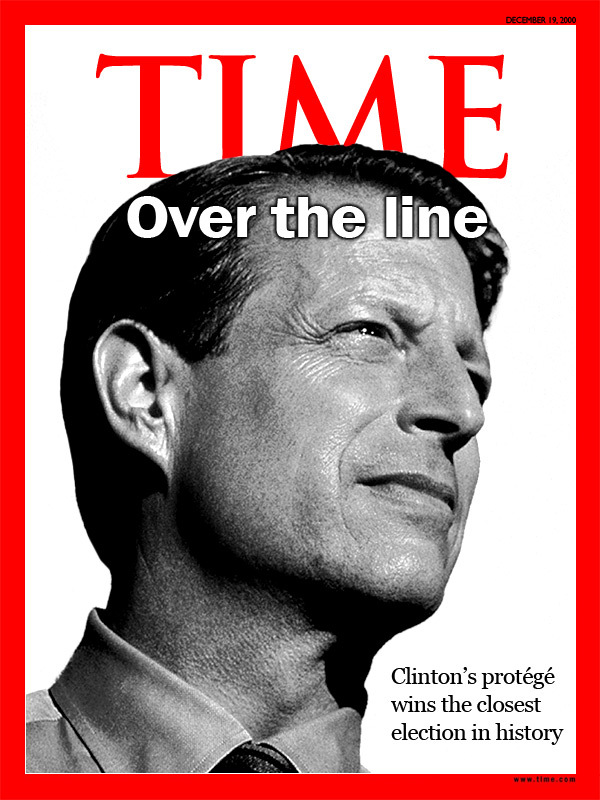 Al Gore wins the 2000 election. This almost happened. We all know how close the voting was and the debacle with voting machines in Florida. How would the world have been different if Gore had won? Would there be wars in Iraq and Afghanistan? 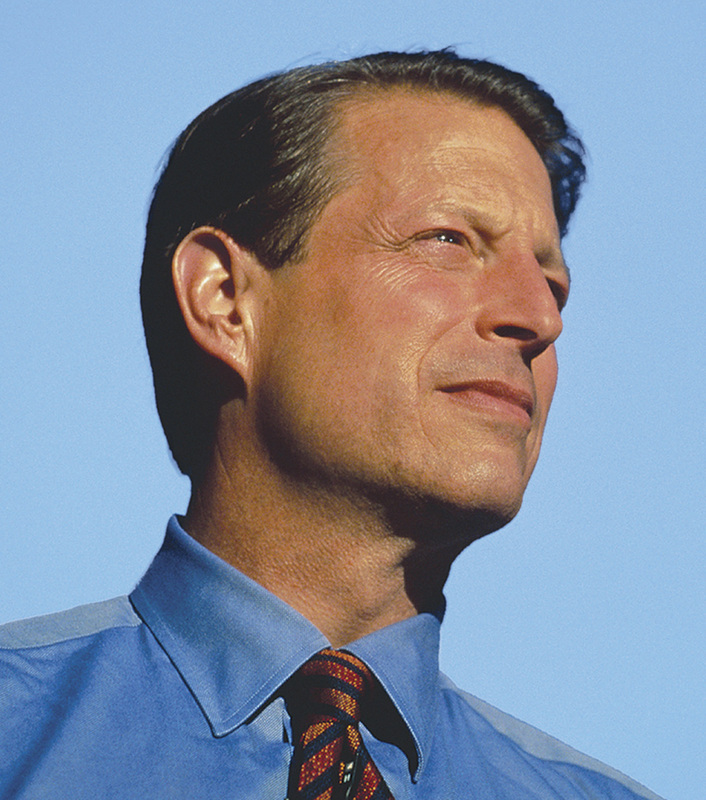 Would the issue of climate change be as prominent if Gore hadn’t dedicated his life to that cause? The covers themselves were hand drawn to the correct dimensions using Time’s iconic bright red for the border. The ‘Time’ magazine font is really a font called ‘Amor Serif’ but is not available for free. I used a font called ‘Episode’ to achieve a very similar look. Importantly it didn’t have serif kicks on the top of the M character. I took original photographic images and desaturated them if needed because black and white gives much more esteem to what would have been important historical events. I really turned up the contrast on the images to wash them out with the stark black background. OHHHHHHHHH that sarah palin cover makes me so HAPPY!!! I don’t know much about JFK. My parents didn’t like him. 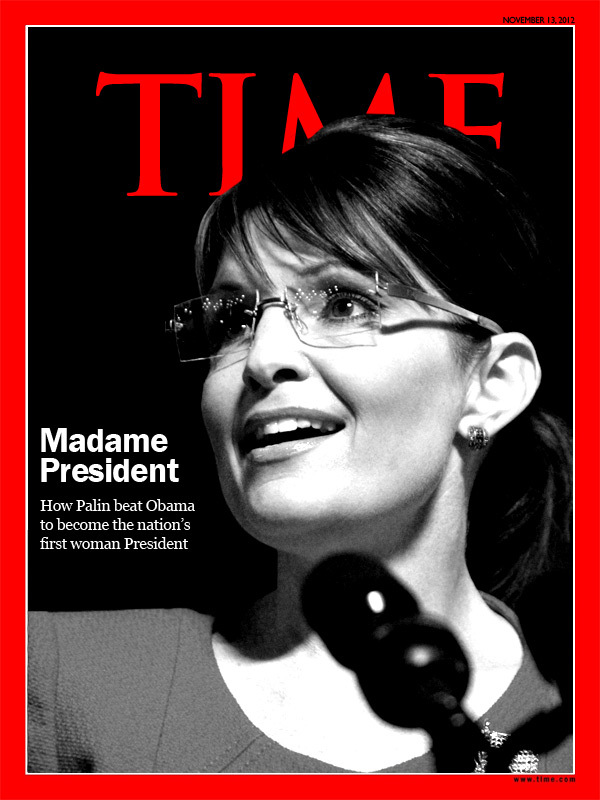 IMO, the Palin cover is prophetic.